On April 20, 2013, a disastrous earthquake of 7.0 magnitude struck China in Ya’an, a town in Sichuan Province, at 01:02 London Time. So far, the disaster has caused at least 2,000 death, 15,000 badly injured and millions of property losses. 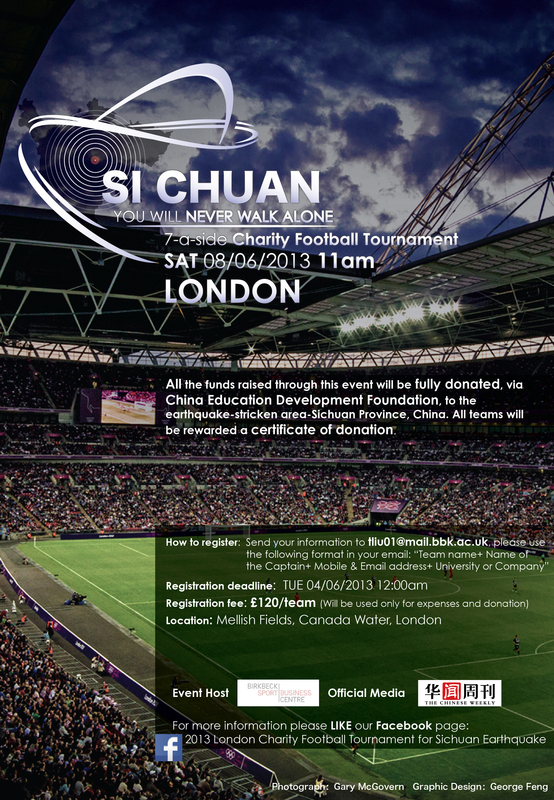 All funds raised from the tournament will be delivered to Sichuan Province via China Education Development Foundation. A certificate of Donation will be given to participating teams. Hosted by Birkbeck Sport Business Centre, you are welcome to participate in this 7-a-side charity tournament.